Which “Desktop as a Service” cloud platform in 2019? New Desktop as a Service comparison launched – access it here. Cloud based consumption models have been reshaping IT in recent times. Across the technology spectrum we’ve seen the industry transitioning to a “cloud first” model. Desktop as a Service (DaaS) has been an area where similar traction has been missing due to technical concerns, licensing restrictions and a lack of global offerings. However, there has been a steady improvement in all these area along with emergence of new players in the market that are “born in the cloud”, driving renewed interest in DaaS solutions. This comparison will look at the leading DaaS platforms in the industry and help you understand their capabilities and feature-set in a cloud delivery model. With most organisations looking to transform their IT to a cloud and SaaS based model, DaaS is a logical extension to include end-user services in this transformation. Delivery of Desktop and application through unified portals with identity management and intuitive self-service. This includes experience monitoring, notifications, alerting and more. Diverse set of billing models, pay-per-use for contractors or burst capacity. It addresses short term use, cost agility & ability to switch between cost models. Global availability of services in scenarios where the geographic dispersion of users for global organisations has historically been a challenge (latency). Secondary work-spaces and cost effective business continuity / DR. Provisioning of branch offices with minimal infrastructure and lead times. You can see a large variety of strategic and tactical reasons for adopting DaaS based approaches. Crowd-sourced Insights into usage patterns, potential risks, performance peaks etc can help address operational and efficiency concerns for many organisations. Evaluate both from a hybrid PoV that looks at unified management, deployment, integration & monitoring across both platforms depending on use case. Start with compelling use case like contractors, seasonal workers or even burst capacity and evaluate / adopt more complex use cases as you move forward. Look for providers that are able to integrate with your existing environment and skills if needed. Look for opportunities to improve user experience through a combination of VDI & DaaS. Consider replacing local DR solutions with DaaS approaches if you are a geographically distributed organization to save cost. We know that truly measuring TCO is hard due to the differences in delivery, operation and provided capability. An “apples to apples” comparison is almost impossible, so make sure you consider overall service quality, operational efforts and any additional benefits the DaaS model provides. Referring to several industry studies in the last years it is expected that DaaS offerings will be at feature parity with on-premises VDI in 2019. The global availability of DaaS solution on Azure, AWS (with GCP catching up) has increased the viability for DaaS. With vendor focus on cloud the goal for many DaaS providers is not just to match but surpass UX provided by “native” solutions. Vendors are continuously improving levels of automation through the addition of REST API functions, connectors and ITSM integration. By Adding new features like UDP support, browser-based access, GPU virtualization,containerization,H.265 encoding DaaS of today can address various user profile types and graphical requirements. By now there are flexible options for adoption depending where your are in your journey to DaaS – whether you want to move the management (control plane), the workers (Guest OS Desktop/Server) or both. 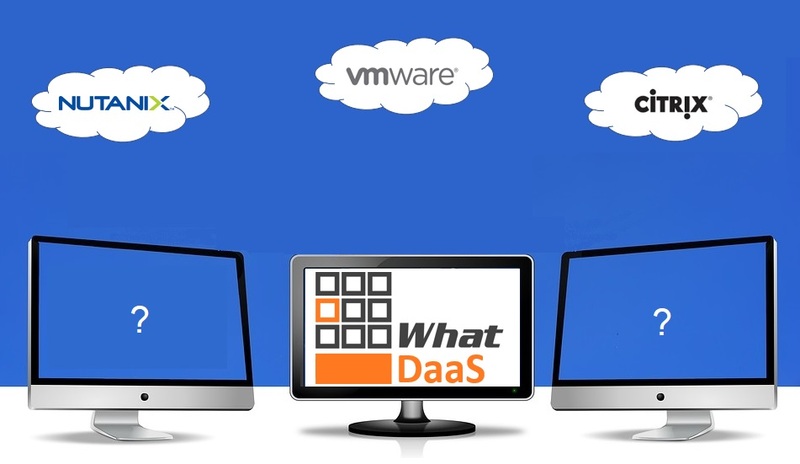 DaaS, as it stands today, is generally able to answer most use cases. Customers have the freedom to purchase the resources directly from the DaaS provider, a reseller or bring their own licenses/subscriptions. Data residency and security worries – make sure you understand compliance and security requirements. Integration challenges – too many solution components call back-end systems in on-premises locations that cause latency & overall UEX degradation. Applications suitability – some (typically homegrown or legacy software) apps struggle with additional latency that cloud-based solutions can introduce. Though DaaS vendors provide multiple specs in terms of workload configurations, only some give you the ability to edit those. Check if your images have been optimised for a specific spec configuration. Don’t make “cost savings” your key driver for DaaS. 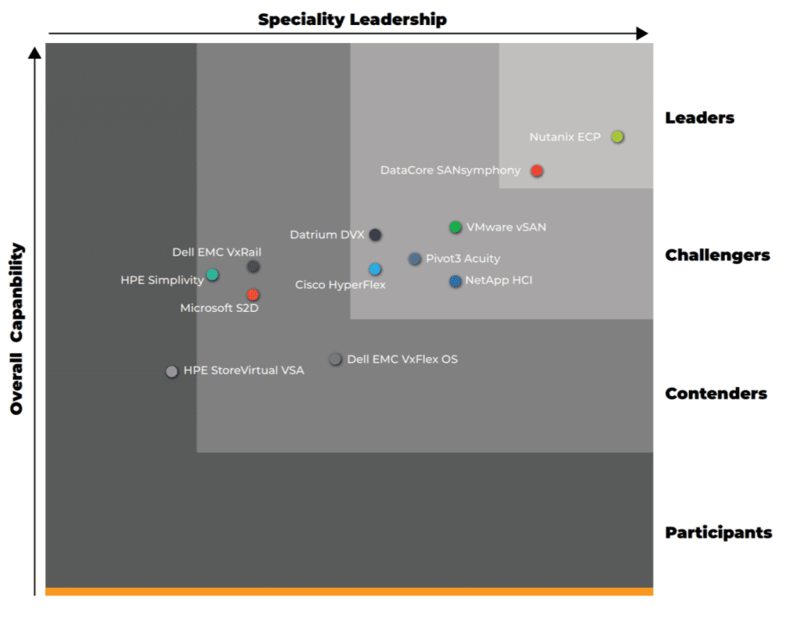 Reality is that TCO for DaaS can be 20% higher than that of on-premises VDI. Control cost through governance, avoid desktop sprawl and unnecessary operational costs. Temporary or seasonal use cases for pay-per-use are most compelling. Utilize the DaaS comparison to find features and use cases you are evaluating for your environment. If you feel you are lost and need help – you can always reach out to us! Leave comments here or get directly in touch! We are looking to expand the comparison with other solutions like Microsoft WVD, Amazon WorkSpaces/Appstream in the near future. If you are a vendor with an interesting solution – get in touch. And remember, there is no “pay-to-play” here at WhatMatrix – we include solutions that are relevant and stand up to our evaluation, not the ones vendors pay for – publication on WhatMatrix is free. Workplace focus? We’ve got more for you!